more information on "Fist of Fury aka The Chinese Connection"
Chen Chen returns to the international compound of China only to learn of his beloved teacher's death. This is compounded by the continual racist harassment by the Japanese population in the area. Unlike his friends, he confronts it head on with his mastery of martial arts while investigating his teacher's murder. 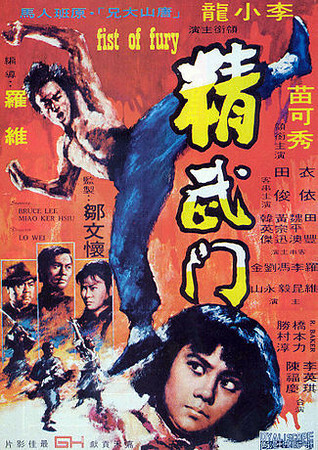 Fist of Fury, also known as The Chinese Connection and The Iron Hand in the United States, is a 1972 Hong Kong martial arts film directed by Lo Wei, starring Bruce Lee in his second major role after The Big Boss (1971). Lee plays Chen Zhen, a student of Huo Yuanjia, who fights to defend the honor of the Chinese in the face of foreign aggression, and to bring to justice those responsible for his master's death.